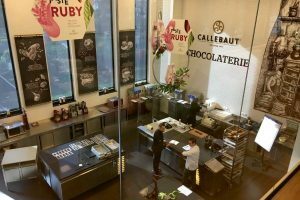 Developing ruby as the ‘fourth type of chocolate’ has proved a labour of love for Swiss manufacturer Barry Callebaut. 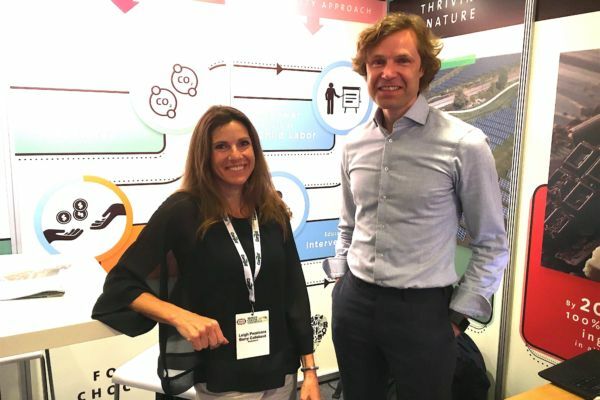 Neill Barston speaks exclusively to the company’s head of marketing Bas Smit, at the World Cocoa Conference, assessing its potential and the company’s wider sustainability goals. Being billed as the first entirely new category of chocolate for the past 80 years placed a considerable amount of expectation upon Barry Callebaut’s ruby variety. But with the last major revelation in the segment considered to have been Swiss white brands in the 1930’s, it’s easy to imagine just why this latest entrant has generated so much attention. Perhaps fittingly, ruby chocolate was given a glamourous champagne reception launch in Shanghai last September, with Barry Callebaut judging Asia would prove a logical setting. Its introduction there followed marketing studies indicating particular demand from young consumers for the product within the region. 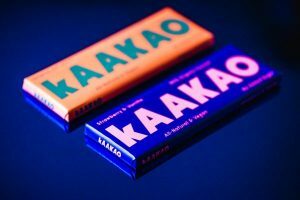 As Bas Smit, head of the company’s global marketing explained to Confectionery Production, the new product’s emergence has been no accident. He revealed that ruby, which has the creaminess of white chocolate with an added berry twist, is in fact the result of nearly 15 years of painstaking research from its international teams. Its creation has caused a full spectrum of reaction within the industry –with some observers questioning if the variety really is in fact the ‘new fourth chocolate,’ or whether it is perhaps a hybrid that has been modified. However, its provenance is something that the Swiss company fiercely upholds in asserting that ruby is an entirely natural product. The company has underlined this belief in gaining a patent upon its much-celebrated discovery. “In order to have success with this chocolate, the number one thing was convince consumers that it is made from a ruby bean,” explained Bas to the World Cocoa Conference. Describing its origins, he enthused that one of the key approaches the company is especially keen on enabling its research teams a sense of freedom to make new discoveries. “We took it from cocoa science teams, to our chocolate science R and D teams in Belgium who created some physical chocolate from it and that ended up in a drawer. This was just one of a number of chocolates we are developing. It had a unique colour and taste, but we didn’t realise at that time what it would mean for the consumer. “Then in 2015, we initiated a study to understand why people eat chocolate across the world. We looked at what are the needs satisfied by this category, which took us 14 months,” he adds, explaining that ruby appeared to satisfy a demand for what is termed as ‘hedonist indulgence’, particularly in the young millennial age group. “It’s amazing to see the response ruby has had, and it has sold out in record time where it has been available. “One media group said ruby was ‘a symptom of a changing taste in confectionery’ which is a great compliment to its discovery, as this means you can shape the category and make it richer in the same kind of way that Apple did with the world of communications in creating the iPhone,” asserted the marketing manager. 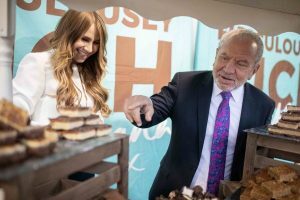 While he conceded that ‘not everyone can like a new product,’ he believed ruby has the right set of characteristics to succeed in a competitive global confectionery sector. The company’s confidence in the product has led to its arrival on European shores with a recent launch for artisan chefs in Belgium, as well as a similar event in the UK last month. It has also found its way into British retail shelves through Tesco and the luxury Fortnum and Mason store in London. With its new variety of chocolate featuring cocoa sourced from the industry’s key sources in Africa (particularly the Ivory coast), as well as Brazil and Ecuador, the company recognised that its development had to be closely aligned with its sustainability goals. These have been clearly laid-out within its Forever Chocolate programme that focuses on developing transparent supply chains that respect farming communities. This includes an ambitious target of helping lift 500,000 people out of poverty through community support schemes. It has also aimed to eradicate child labour in the supply chain by 2025. Given the scale of this task, just how realistic does this target seem? “Everything in life starts with an ambition. In America, Dr Norman Vincent Peale said – you should always reach out to the moon – if you don’t make it then you will end up among the stars. Our goals with our Forever Chocolate programme are indeed ambitious, which forces us to reinvent and do new things. If we kept on just doing what we did, then it would not be good enough,” adds Bas, who says that while the company is presently placing emphasis on this issue, there is a recognition that more needs to be done. His colleague Leigh Pezzicara, head of global sustainability marketing at Barry Callebaut, shared his perspective on the issue. She explained the company believed passionately in playing its part in solving the major wider issue of two million children being used as labour in Ghana and the Ivory Coast. She said: “Everything we are doing is to bring about change – we have our targets in mind and have started pilots in five different locations and the first of these is in Indonesia. Clearly, the issue of tackling poverty amid highly challenging conditions is a long-term goal, but it is becoming increasingly apparent that the combined actions of confectionery groups is gradually having a positive impact, which will require a sustained focus if such ambitious industry and government goals are to be met.